Practice intensely, feeling that your practices are as important as material values. Remember one thing always: to the degree you grow, you offer shade like a tree. Within you, as you enlighten yourself, you give light also. Within you, as you attain unconditional love, you love others outside you properly. Within you, as you achieve peace, you shed peace to others. 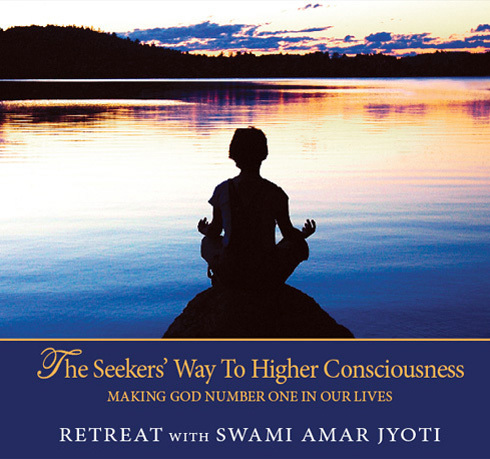 In this Retreat given in 1980, Swami Amar Jyoti shows us how we can use the material of our everyday lives and minds as a spiritual practice to expand and uplift our consciousness. By keeping our focus on God and Guru in everything we do, we are gradually transformed. He elucidates how our mental patterns determine our state of mind, and the higher our values, the higher energy we receive from the Cosmos. Seasoned formulas are imparted for seekers on the path to Liberation. Please note: On some Satsangs construction at the retreat center is audible. 5 What Are We Seeking?